Vintage 1950's Rhinestone Necklace, Bridal Necklace, Vintage Jewelry. 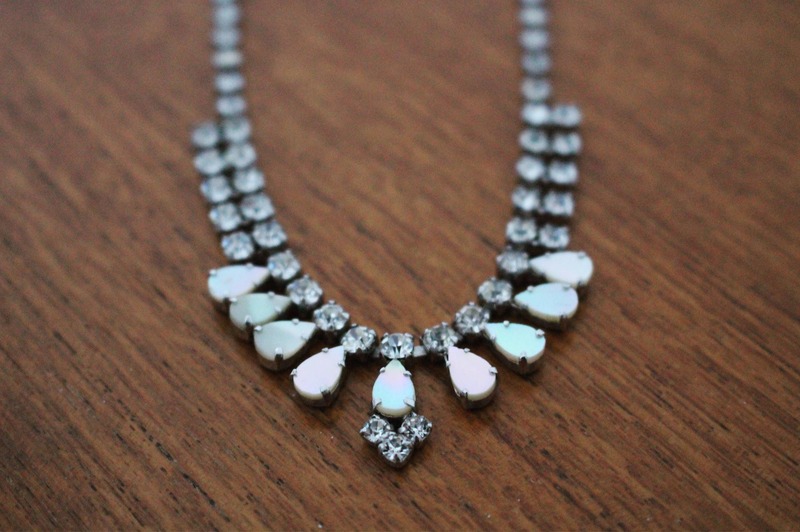 This stunning 1950's vintage necklace is perfect for a Bride with a vintage style wedding. This vintage necklace with beautiful rhinestones and mother of pearl detail will go perfectly with a vintage style bridal gown. Necklace measures approx: 15.5 inches. This necklace will arrive in a beautiful pillow box.